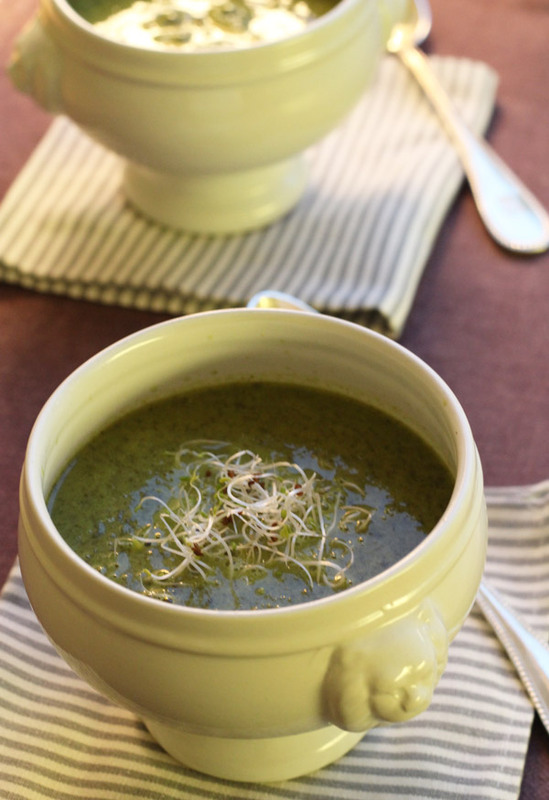 This soup is a real satisfying and nutritional dense soup that works really well as a comfort food when you have a craving for fat and salt. It hits the spot without being unhealthy. Fry onion, chili and garlic in coconut oil in a pot. Add frozen kale and coriander. Stir. Add water, bay leaves and vegetable bouillon powder, bring to boil. The reduce the heat and put a lid on the pot. Let simmer gently on low heat for 20-30 minutes. Remove the bay leaves, mix the soup until smooth with a hand blender. Add coconut milk and heat up the soup on the stove again, if necessary. Taste and add soy sauce if you prefer more salt. If you prefer a thinner soup, add more water - or if you prefer a thicker soup, reduce the amount of water used.